10 x € 12.50 / mėn. ? The Falcon Eyes flash set, now at a very affordable price! 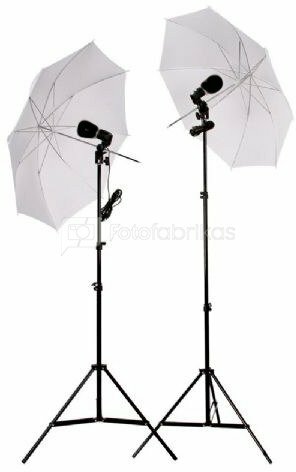 This flash set is very suitable for both starting as advanced photographers who want to experiment with different lighting possibilities. The compact set can be set up in just 5 minutes. 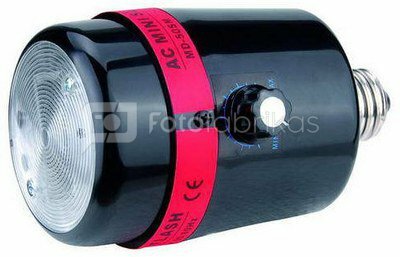 The slave flashes have a power of 50Ws each, and are adjustable at half or full power. the flashes can be triggers by means of the supplied synchronization cable (3 meters), slave function and test button. The supplied white translucent umbrella generates an even and soft lighting effect. 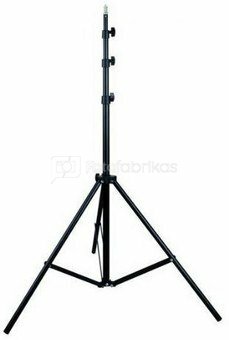 The steady tripod is adjustable in height up to 2 meters and completes the set.